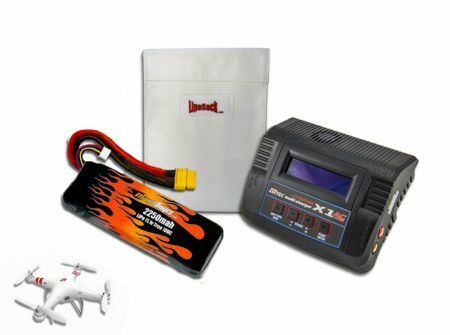 This is a high-performance LiPo battery pack for the DJI Phantom and Phantom FC40 Quadcopter. This upgrade from the stock pack will greatly improve your power and flight time. It features a 100C rating and for tons of punch and extra power with the same 3 cell setup as your DJI Phantom. Note: This battery is designed to work with the DJI Phantom but NOT the DJI Phantom 2 Vision or the DJI Phantom 3 Vision.